Avanti's handy Wrapmaster dispenser makes is super easy to cut sheets of cling film, wax paper and foil wrap with its recessed stainless steel cutting blade that cuts wrap perfectly in one touch. Simply pull out the required amount of film, press down the lid and release. Tadaa! 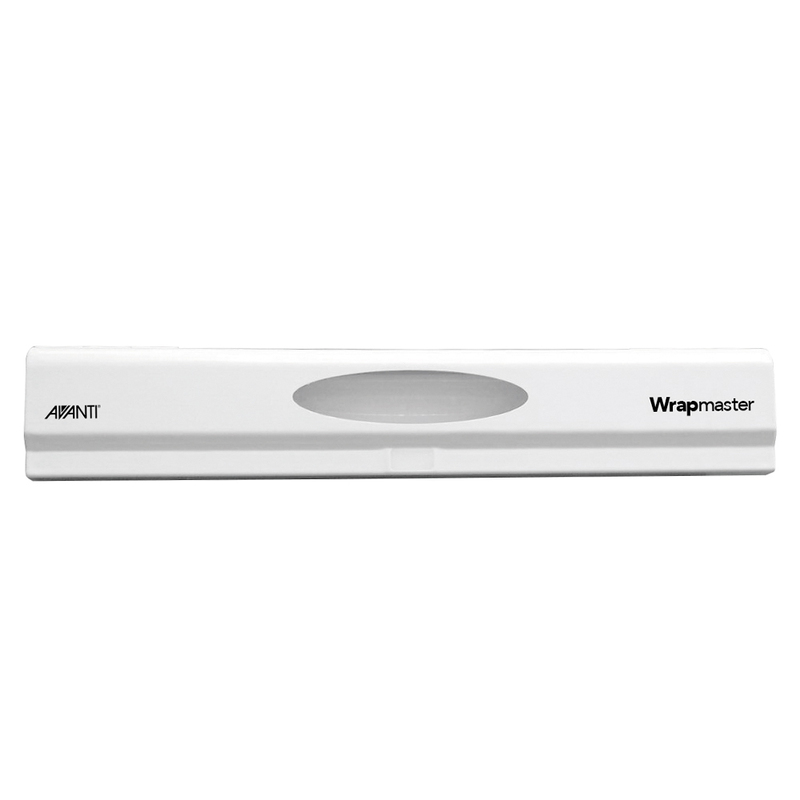 Gone are the days of odd-shaped, uneven coverings, thanks to the Wrapmaster. Crafted from durable plastic with an 18/8 stainless steel recessed blade. Cut cling film, aluminium oil and wax paper. Spring loaded for efficient cutting. Easy to use, simply pull, press and release. Features a thumb grip and adjustable roll width. Designed to fit in a standard kitchen drawer. Features a window display for roll replacement. Designed to fit 26cm to 34cm wide refill rolls.